The Sun Studio is a professionally managed salon, providing safe, responsible tanning facilities so you can look and feel great. 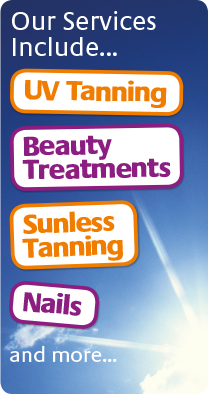 Established in 1989 in Witham, Essex, we specialise in UV sunlight tanning and beauty treatments. Clients can be rest assured that we are responsible, reliable and trust-worthy. We are trusted with all of our clients' UV sunlight tanning and beauty needs. Clients can rest assured that we are responsible, reliable and trust-worthy. Please complete your details below to subscribe and be the first to be notified of our special offers and updates via email.